How often do you listen to music? I don’t mean throw some tunes on in the car or play the radio in the background, I mean really listen…. 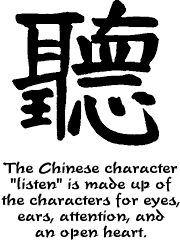 the kind of listening where you give the music your full attention, focusing on the qualities of individual sounds and noticing things which are not immediately obvious. That distant layered guitar chord; the faint timbale in the background; the different harmonies of the violins. The nuances of the reverbs, the tuning of the drums, the positioning of sounds within the stereo image. How often do you do that? If you’re aspiring to be a successful professional sound engineer, I hope the answer is ‘a lot’. This is the art of critical listening; the vital skill which every mix engineer needs, whether in the recording studio or TV suite, at front of house or behind the monitor desk. Anywhere you find yourself with your hands on the console, you need the ability to zero in on sounds with Jedi-like focus, to discern what they add (or not!) to the overall mix. Only then can you begin to manipulate them to enhance the experience – because simply adding more and more sound sources indiscriminately can leave you with a nasty audio ‘mud’ from which it’s difficult to extract yourself. It’s a skill which is honed over time, but the good news is that can you start anywhere, with no fancy gear whatsoever. You can start right now, by listening to lots of different styles of music on lots of different speakers and headphones. Never gotten into classical, reggae, country or samba? Give them a try! Usually listen to downloads in your car or on headphones? Beg or borrow a decent pair of domestic stereo speakers and play a favourite album on CD or vinyl. Clear your space of all other distractions and just listen. Prepare to be amazed at all the details you never noticed before. You can make it a game by writing down every sound you identify (if you don’t know the instrument, don’t worry, just describe the sound – it’s for your eyes only). Then try drawing a picture of the stereo image as though it’s on a movie screen. Is there a guitar sound to the left? A cello to the right? Are some things higher in the air, or nearer to the ground? Do you feel like some sounds sit further back, or closer to you? Do you perhaps start to feel that the stereo image is more 3D, than flat left and right? Did you just blow your own mind?! I know I did, the first time I tried it – I can still remember the exact room I was in, and that was 25 years ago! Doing plenty of listening practice puts you a step ahead when you’re eventually behind the desk. As an engineer, a smart move before working with a band is to get a copy of the proposed set list and listen to all the songs, many times over. Obviously if you’re mixing several bands for one day only at a festival then this isn’t practical, but if you’re doing repeat gigs then it’s really helpful to understand what the original song sounds like and what the musicians are used to hearing. You won’t necessarily try to recreate that – a monitor mix is functional as well as pleasant to listen to – but the reference point is invaluable. There’s another sort of listening which is also vital, particularly for monitor engineers, and that’s the art of listening to what your artist is telling you. This is where we get into the realms of sound engineering as psychology! I’ve written before about the importance of developing trust between the monitor engineer and musicians, and a great way to inspire that (after doing your pre-production homework and introducing yourself in a friendly and confident fashion) is to really listen to what they are telling you. 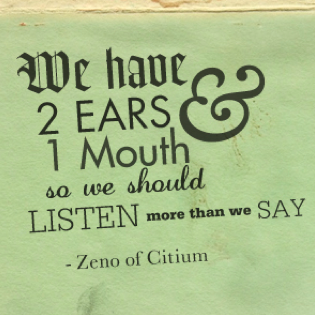 (A wise person once said that we have two ears and one mouth for a reason!) Make eye contact, give them your full attention, and check anything you didn’t quite understand. Repeat key words back to them, to make sure you’ve got it. This not only gives you a better shot at meeting their needs quickly, but also helps them to feel heard – and believe me, that is a huge part of forming trust.You know those people who make you feel like you’re the only person in the room? Be one of those people! Of course, the tricky part of monitor engineering is that you need to make every person on stage feel like that simultaneously, and if they’re all talking to you at once, that’s no mean feat! Use the ‘one at a time, but I see you’ approach – stay with the person you’re talking with, but give the interrupter a nod or say ‘I’ll be right with you John’ (or whoever). As soon as you’re free, say ‘now, John , what can I do for you?’ After a few times they’ll generally stop jostling for position, because they come to trust that they’ll get their turn. Of course, there are often inter-band politics to deal with, and sometimes you’ll be caught in the crossfire of ego-contests. Experience teaches you how to deal with those, but if you stay calm, methodical and professional, you won’t go too far wrong. Many artists and musicians are not good at describing what they need to hear, so you have to learn to decipher their requests, and again this comes with practice. Comments like ‘my voice feels muffled’ can often be addressed with mic technique and EQ (more about that next month), but simply being curious is the way to get clues – if you don’t understand what they’re getting at, ask open-ended questions. ‘Can you tell me more about what ‘crunchy / breathy / purple feels like?’ (Yes, people do come up with the oddest descriptions!) This has the added benefit of helping them to feel that you’re on their side and again, it builds trust. As a monitor engineer, your relationship with the band really is of prime importance – when they feel that you’ve got their back, they can relax and get on with their job of playing a great gig – and that’s what it’s all about! Part 2 goes into detail about listening to different sounds within a mix, and how I approach EQ’ing individual inputs. In the meantime – get curious, keep listening, and have fun! 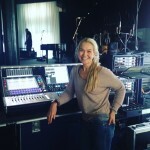 Becky Pell: Becky Pell is a monitor engineer with over 20 years experience in the live sound industry. Since 2012, Becky has been a registered yoga teacher and leads retreats and workshops when she’s not on the road, as well as teaching the artists and musicians she tours with mixing monitors. About Becky: Becky started her professional life as an apprentice at RG Jones Sound Engineering in London, where she swept a lot of floors, cleaned a lot of cables and loaded a lot of trucks, gradually working her way up to become an engineer. After going freelance in 2001, she toured as a monitor and RF tech with Black Crowes, Travis and Kylie Minogue, before moving behind the desk to mix monitors for artists such as Aha, Muse, Westlife, Anastacia and Take That. She also runs monitors annually on the main stage at the world’s largest festival, Glastonbury.